Frozen Replaces Mickey and Minnie in Disneyland "A Christmas Fantasy Parade"
During this year’s Disneyland “A Christmas Fantasy Parade” the float previously featuring Minnie and Mickey Mouse skating now features Anna and Elsa from the hit movie Frozen. Mrs. Claus has been kicked out of the parade this year. Click here for more info. Since June of this year, the Christmas parade float has been used to carry Anna and Elsa at the beginning of the Soundsational parade. 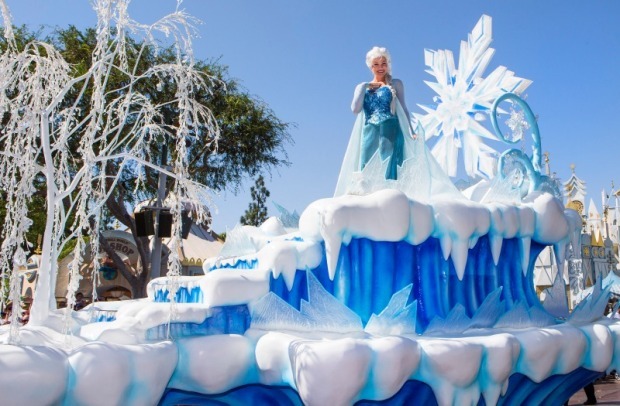 The Anna and Elsa float was added to the Soundsational parade in haste following the popularity of the Anna and Elsa Frozen meet and greet in Fantasyland. 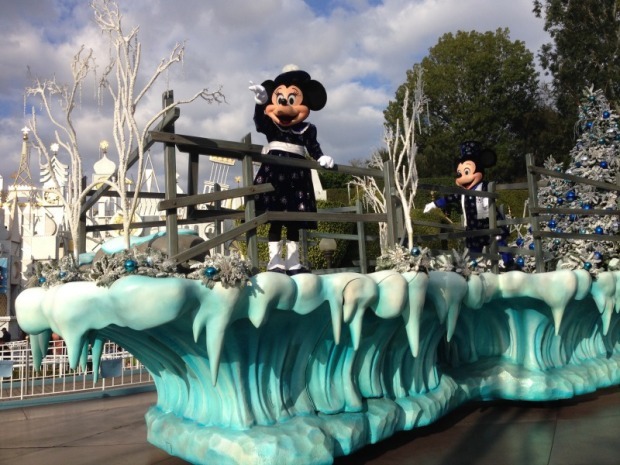 Because the skating float was already converted into a Frozen float, the parades team will use this float as the Frozen float and move Mickey and Minnie to a different float in the Christmas parade. Disneyland Mickey and Minnie Christmas Parade. Photo credit. This section of the parade will also feature that song you can’t get out of your head…Let it Go. You can hear the orchestral version of the music that will be used here. 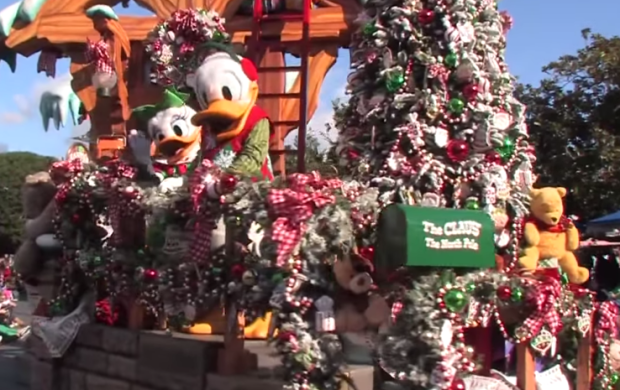 Update: Donald Duck and Daisy Duck will be replacing Mrs. Claus who won’t be appearing in the parade this year. See the full coverage of this issue. My source tells me that Mickey and Minnie will be replacing Donald and Daisy Duck on board the Mrs. Clause mail room float. (This is one of the my favorite floats in the Disneyland Christmas Fantasy Parade because of the nice parade kickoff with Mrs. Claus interacting with the crowd.) There are some other ideas about where to put Mickey and Minnie but no specifics have been given. The addition of Anna and Elsa to the Disneyland Christmas parade, caps off the list of Frozen features in Disneyland including Anna and Elsa’s Boutique at Downtown Disney, the meet and greet in Fantasyland, and the Frozen pre-parade that has been running since June. 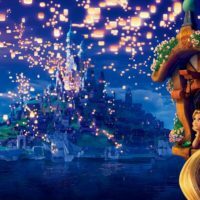 There are also rumors of a huge Frozen-themed area in Disney California Adventure. 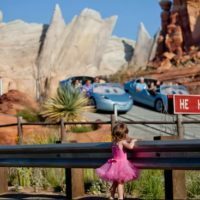 Be sure to sign up for the newsletter for even more Disneyland news and rumors. 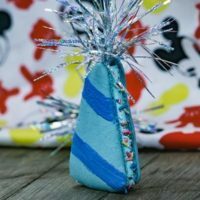 For help planning your Disneyland Christmas vacation, check out our 2014 Disneyland Christmas tips and tricks guide. Hey that’s cool, but Mickey and Minnie must be the first consideration ! Chris the float was stolen from Mickey and Minnie. They just happen to be moving to another float. Certainly a rumor. I wonder what this “source” is. Find out later this week, but this article has a lot of false information. Care to enlighten us? I would love to hear the real story. The parade opens in just a few days. You will find out then. Thanks Jessie. As I mentioned there were a couple of conflicting reports on the issue. Minnie and Mickey have been moved to the front of Mrs. Clauses float and Mrs. Claus is no longer in the parade. Very sad. Donald and Daisy are now sorting the letter on the back end of the float. Thanks for the update Kathy.